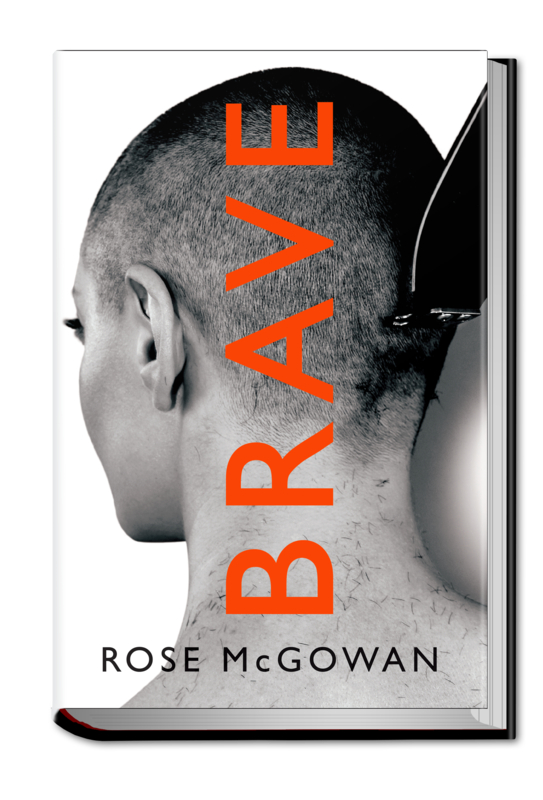 Rose McGowan's raw, poignant, and motivating memoir BRAVE is a journey to true courage. Born into one cult and coming of age in a more dangerous one, the biggest cult of all, Hollywood, BRAVE tells the story of Rose's uniquely lived life and reveals how one woman got out in order to live. This empowering memoir/manifesto dismantles fame as propaganda, and helps us all #BeBRAVE. 2) Share some of BRAVE's most profound messages. Download graphic quotes HERE. SUBJECT LINE: It’s time to be BRAVE. Hollywood expected Rose to be silent and cooperative and to stay the path. Instead, she rebelled and asserted her true identity and voice. She reemerged unscripted, courageous, victorious, angry, smart, fierce, unapologetic, controversial, and real as f*ck. BRAVE is her raw, poignant, motivating memoir—a journey to true courage by a millennial icon, fearless activist, and unstoppable force for change who is determined to expose the truth about the entertainment industry, dismantle the concept of fame, shine a light on a multibillion-dollar business built on systemic misogyny, and empower people everywhere to wake up and be BRAVE. ROSE McGOWAN is a thought leader and agent of change. As a writer, director, music artist, icon, entrepreneur, and feminist whistle-blower, she focused a spotlight on injustice and inequality in the entertainment industry and beyond. As an activist, she led a movement to break the silence and became a leading voice in the fight to disrupt the status quo. By creating the social justice platform #ROSEARMY, she has signaled to the world that it is time to think differently and be better. Rose gained recognition as an actress who held lead roles in films such as The Doom Generation, Scream, Jawbreaker, and Planet Terror. She starred on the hit series Charmed, one of the longest-running female-led shows in tv history. Her directorial debut, Dawn, was nominated for the Grand Jury Prize at the Sundance Film Festival. Join the movement at ROSEARMY.com.